Never lose another customer with anytime, anywhere service. Do your live agents spend too much time answering repetitive questions? Ever noticed that web visitors don’t complete a purchase? 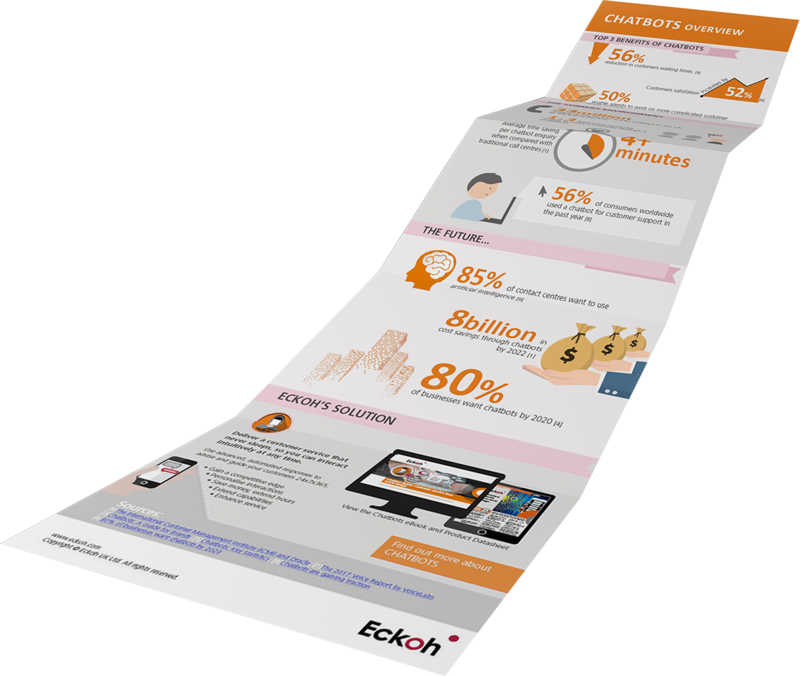 Has your cart abandonment rate gone up? If so, then you could be ready for a chatbot. Your customers can then enter their questions and get the answers they want - instantly and at any time of day or night. Your Chatbot can be standalone or draw answers from our Knowledge Base product so you can instantly add or change content to respond to business change. 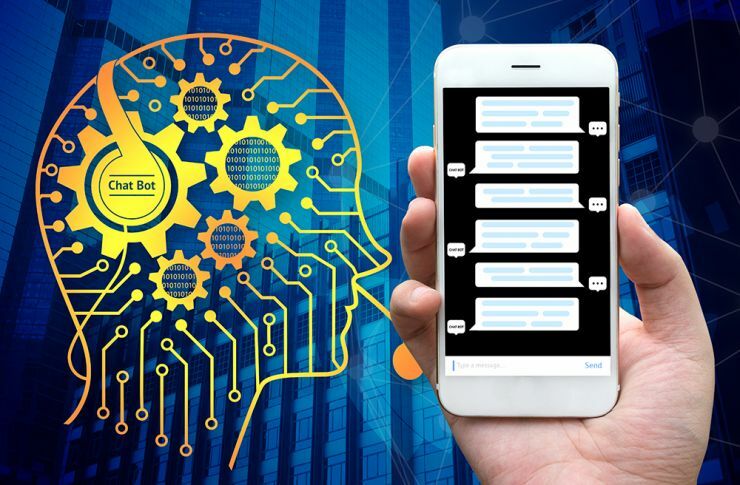 If the bot cannot answer a question or the customer’s query is more suited to a human answer the bot can seamlessly hand-over the customer to a live agent, passing the transcript and customer query to create a seamless conversation from bot to agent. We use our vast experience of Omni-Channel engagement and natural language expertise to create a chatbot that is just perfect for your customers. Eckoh’s team of speech scientists and dialogue designers can help you to create and manage content suitable for chatbots, all adapted to reflect your tone of voice and branding style. Our technology is compatible with Facebook Messenger which allows you to share your knowledge seamlessly and across multiple platforms. Discover how Chatbots can improve customer care and convert more of your website visitors into paying customers.